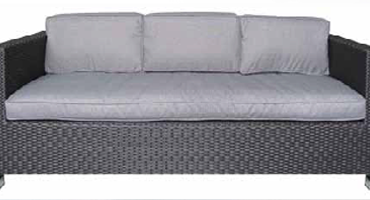 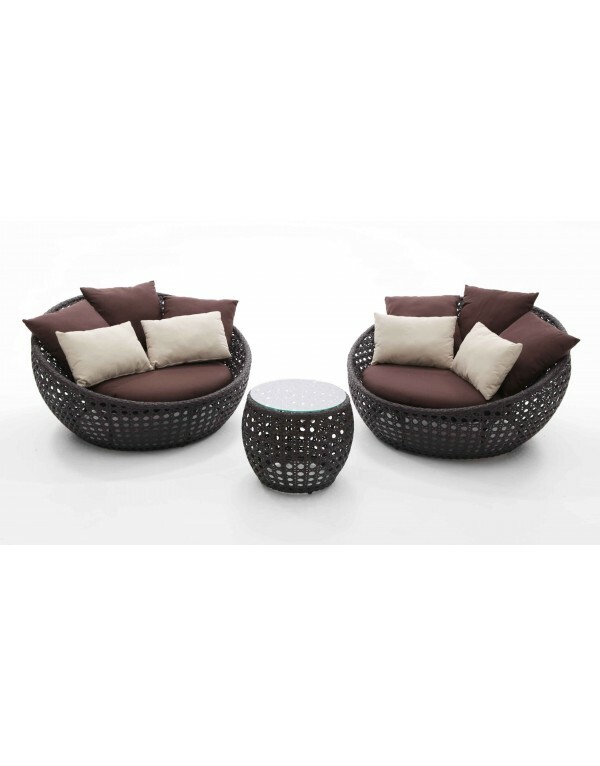 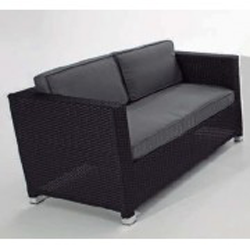 Eclipse synthetic rattan and aluminum structure Eclipse lounge set. 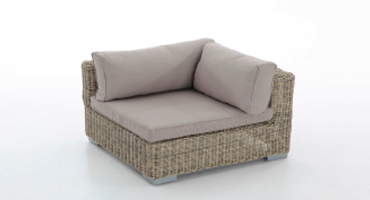 consisting of two round sofas and a coffee table. 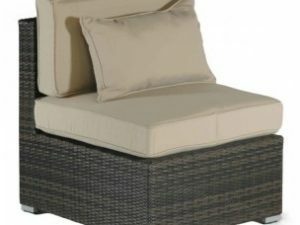 Mocha color and pillows in brown and beige.